Sunshine and warm weather-- spring has finally arrived here in Michigan! 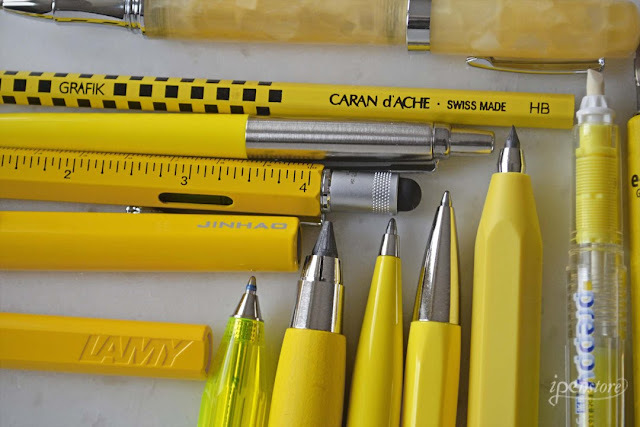 Yellow is a happy, uplifting color, and is supposed to inspire creativity. 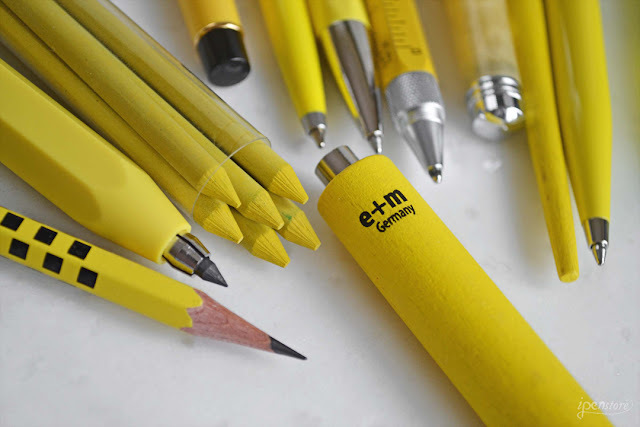 I like it because it reminds me of sunshine- always a good thing. 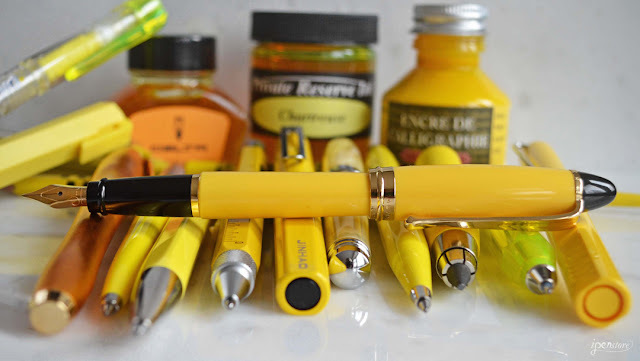 These sunny yellow pens and ink will hopefully make you feel some sunshine today as well. 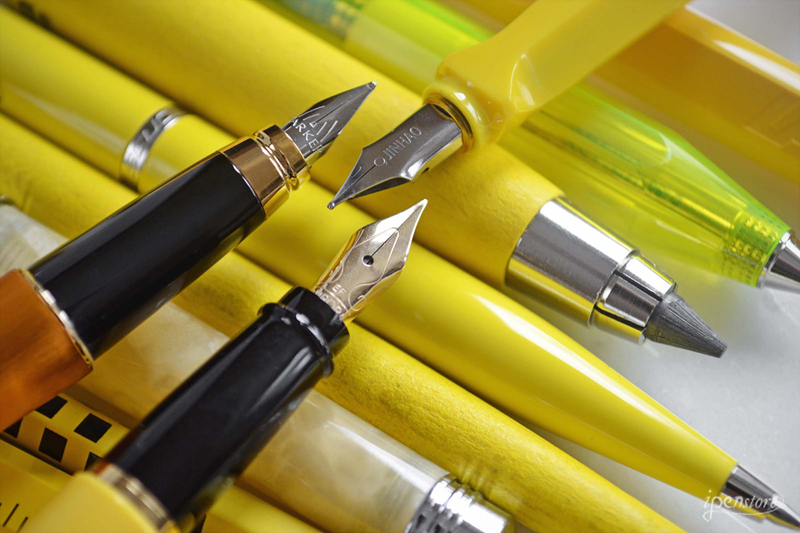 Parker Urban Fountain Pen, Special Edition, "Mandarin Yellow"
Caran d'Ache 888 Infinite Swiss Made Ballpoint Pen, "Lemon Yellow"
Rosetta Napoleon II Pocket Fountain Pen, "Lemon Ice"